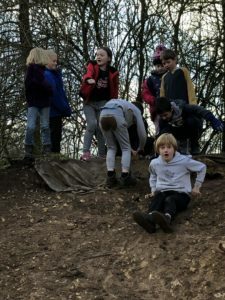 Year 3 Forest School: The one with the MUD SLIDE! 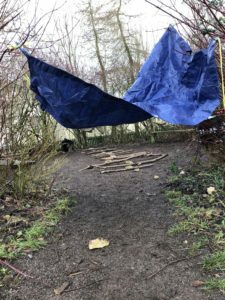 In Forest School this week, Year 3 have been taking part in obstacle course making. We created some fantastic under, over and through courses using things that we found in the nature garden. We had to go up the stairs and down the slide of mud, which Toby and Luca had made sure all the bigger stones and sticks were removed, I think the other children were very grateful.